With the help of our infinite line of Cheap STO Credits, you can concentrate on your success and your safety rather than making sure the bank isn't empty. Using our safe markets and our huge collection of STO Credits, we can help you bring in as many millions of credits as you could possibly need within the game. Now, instead of continuously fighting fodder in a bid to build up your position and your financial capacity, our Star Trek Energy Credits allows you to have richer, more grandiose goals that you would like to try and meet. Everything that you do in STO requires Credits, This is the easiest way for you to find STO Credits which are safe, secure and 100% private. 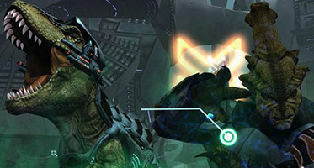 Click here to buy Sto Xbox Energy credits(If you are the Xbox users)! For Star Trek fans, Star Trek online is a great mmorpg game and you are the captain of your own ship. As we know, You can get the Energy Credits in sto games after you completing the missions. In the game you can use Energy Credits to buy lots of items (such as ships, weapons, deflectors and shields). For the gold account of the Star Trek Online PC, Energy Credits has a cap of 2 billion and a silver account has a ceiling of 15 million. For Star Trek PS and Star Trek Xbox, Energy Credits has a cap of 2 billion. If you think your STO Credits is not enough, come to our website to buy some, we will deliver STO Energy Credits to you face to face, because Star Trek Energy Credits can not be transferred to other characters/players through mail. 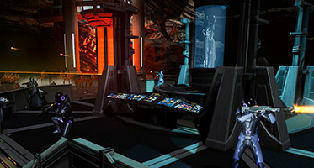 With our large inventory and fast delivery, mmotank is your best bet for purchasing Star Trek Online Energy Credits.